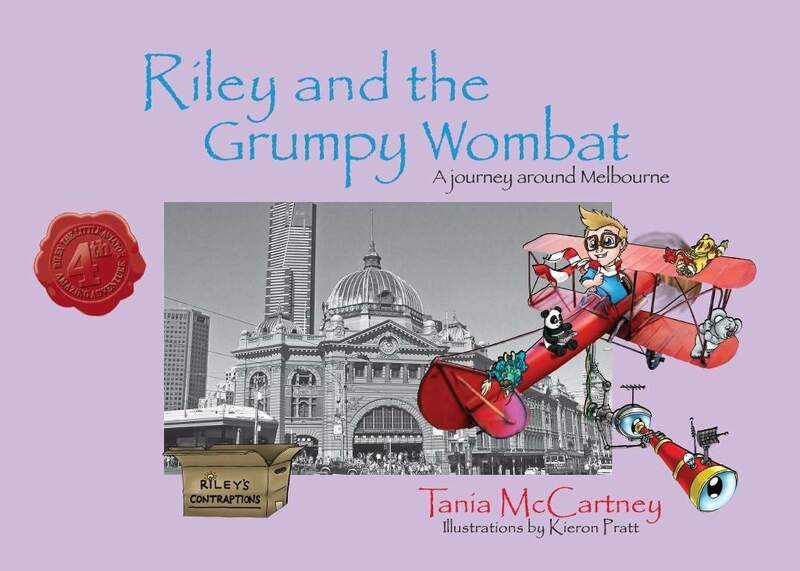 Today's post is by Tania McCartney and is part of her blog tour for her latest book, Riley and the Grumpy Wombat. Read more about the tour on Tania's website. Riley has discovered a wombat in his nanny’s garden. But why is this furry creature so grumpy? Join Riley and his friends from books one, two and three, as they zoom around the stunning sights of Melbourne in search of a wombat that simply needs a place to call home. Featuring gorgeous black and white photos of Melbourne and surrounds, Riley and the Grumpy Wombat combines photos, illustrations, adorable characters, humour and an adventuresome storyline in a travelogue-style book that showcases Melbourne at its very best. One of the joys of reading for and with your children is in the complementary resources available to enhance the reading experience. Children learn in such diverse and spatial ways, offering those added extras to enhance the reading experience not only makes reading more fun, it helps little minds more readily hone literacy skills. Many trains of thought suggest starting the book reading journey with your child in-utero. I couldn’t agree more. Part of the learning-to-read process is in the sound words make, and babies certainly begin absorbing the rhythm and cadence of their mother tongue language well before they are born. This rhythm association no doubt helps with eventual reading and comprehension skills. But what of older children who are also voracious for visual, auditory and sensory stimulation from the reading experience? A book is a book is a book, however, reading them with ‘added-extras’ can morph books into a magical literary journey. Added-extras can be as simple as altering the tone in your voice, using sound effects, character voices or props such as puppets or soft toys. Or they can be a little more complicated, like the myriad book reviews, articles and activities available online, to the endless teachers’ notes and lesson plans that complement many a book – from tales for toddlers to young adult fiction. These educational resources are not limited to schools. They can absolutely be used to enhance your child’s reading experience at home. Many home-schooling parents already utilise these resources, and if you are keen to heighten your child’s literacy and comprehension skills – or simply want to magic-up the story experience – read on. Penguin Books have an extensive listing, including books for older students, and VCE notes. Walker has an impressive listing, too, and also book lists, class sets and recommended books. Allen and Unwin’s site offers teachers’ notes as well as book extracts, top titles for schools (which will help you become familiar with required reading) and reviews by teachers. Random House offers comprehensive teaching support kits and reading guides, covering a myriad of books and topics, and broken into Primary and Secondary sections. At Harper Collins, resources include teachers’ guides by alphabetical listing, fact sheets and more. Pan Macmillan offer a long list of teachers’ notes and as well as information on their authors. On offer from Hardie Grant Egmont are some great notes on popular titles, as well as author information. Scholastic probably offers the largest collection of resources, with comprehensive book listings and educational resources. Independent publishers also offer teachers’ notes for their books – check out Ford Street Publishing, New Frontier, and Wilkins Farago, just to name a few. Many authors and illustrators offer fantastic sites, packed with info and resources that can be used to complement their books. Look up your favourite authors and illustrators and you may be surprised what treats you find. Example: Hazel Edwards' Resource Page. Check with your local library for events, reading clubs and written material available for your child. 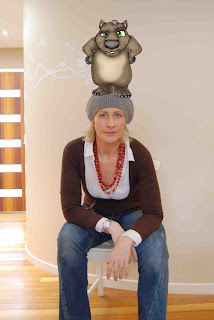 Be sure to check out the official site for the National Year of Reading, too – there are many events and resources planned, Australia-wide, for 2012. If you are keen to further your child’s literacy absorption in line with their current school curriculum, talk to your child’s teacher about accessing lesson sheets or complementary activities and text that run parallel with their current unit of study. Making reading and comprehension less of a ‘task’ and more of a life joy is a priceless gift for any child. Long live literacy!